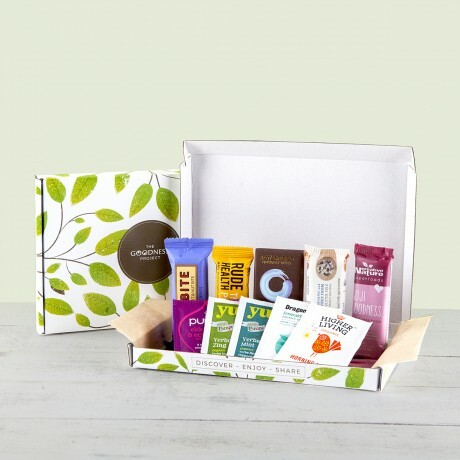 Enjoy healthy snack bars and a delicious teas every work day or surprise your loved one with this little treat pack. Every Letterbox Friendly Healthy Snack & Tea Box has a selection of 5 wholesome snack bars & 5 envelope tea bags to help you through the working week. The perfect little pick-me-up box! All snacks are vegetarian, vegan and gluten-free. 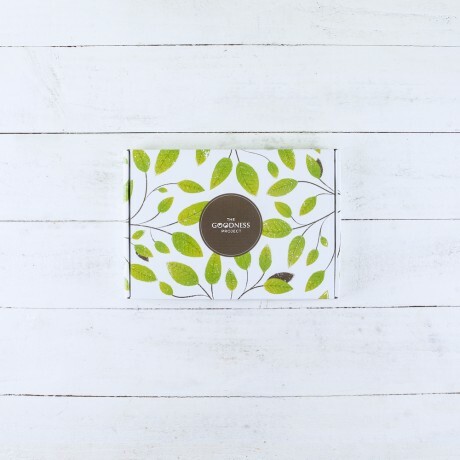 Presented in a signature branded 100% eco-friendly box, wrapped in lovely crisp tissue paper. 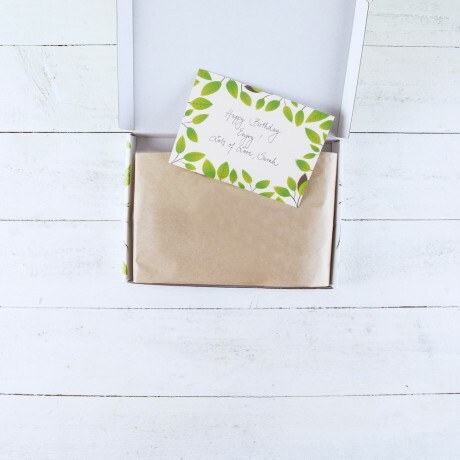 Don't forget to add your FREE GIFT MESSAGE and The Goodness Project team will beautifully handwrite your message onto a gift card and add it to your gift. Please select "Contact the Maker" to confirm the list of ingredients.